Mindfulness is a word that has become more widely used in the past couple of years. It has been touted to be the key to a happy life. And who doesn’t want to be happy?! Mindful spending is closely related. 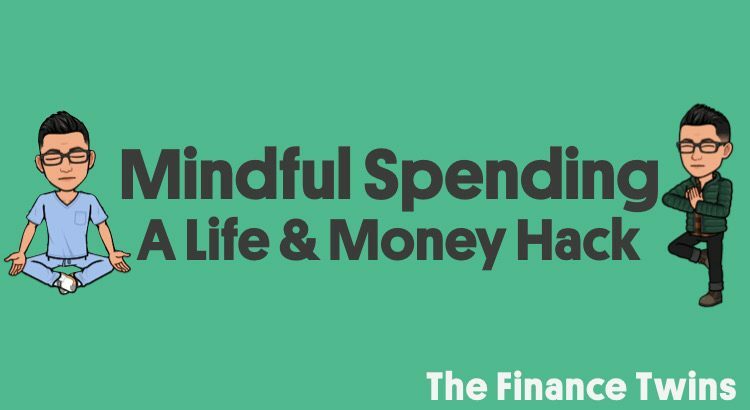 In fact, the principle of mindfulness can also be applied to personal finance. One of the biggest barriers to having solid finances is that most people don’t have enough money for everything they want. They wish they had the same cars as their coworkers or that summer beach house. Keeping up with Joneses. Mindful spending can help with this very problem. So what the heck is mindfulness anyway? If you’re just spending money freely, you’ll find yourself scratching your head at the end of every month wondering why your bank account is empty. We know because we’ve been there. In high school we worked after school and on weekends to help pay the bills. Getting that first check was awesome, but we started to wonder why we couldn’t seem to save any of it. Living paycheck to paycheck the way our mom did is stressful. So that’s why we are here to help. Okay, so mindful spending could help, but how? 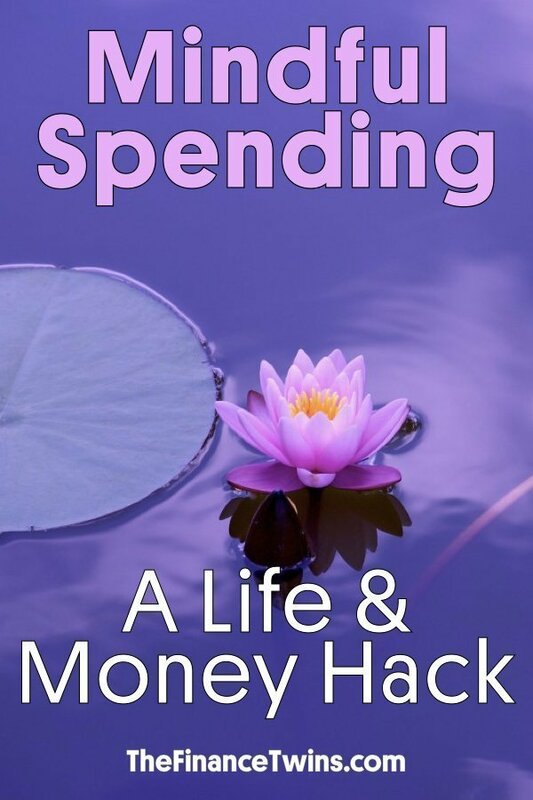 Many people associate mindful spending with being cheap and not having fun. In reality, mindful spending will help you create a life with less stress, more meaning, and yup, more happiness. It all really comes down to delayed gratification. When Apple releases their latest product, thousands of people lineup and stand in line for hours to get it. We’re sure many of them just whip out their credit cards and dig themselves deeper into debt. We will break down mindful spending into four steps to help you attain the things you want, but in a way that is responsible. A win-win! The first step is setting aside money each month in your budget to get things you want. This is in contrast to the things you need (shelter, food, etc.). This amount will vary for everyone depending on income and lifestyle, but a good starting place is between 1-3% of your monthly income (we use 2.5%). So if you bring home $2,000 a month then that would be between $20-60 each month to spend on whatever you want. Protip: Use our free Google Sheets budget template! Write down the item(s) that you’ve been eyeing up at the store or online. Rank them in order of preference. For example, if you want a new cell phone and a new set of headphones then take times to figure out which one you want more. Maybe you need a new dress for a wedding next month. That seems more important than the bedazzled license plate cover you’ve wanted for ages. If the item you want costs $200 and you’re setting aside $50 each month (see step 1), then it will take you 4 months to save enough money for that item. But remember, this is money specifically set aside to purchase things you want. This is different from everything else in your budget (rent, groceries, clothes, etc.). Next comes the fun part. You did it! You set aside money each month and you finally have enough saved up to buy the item you wanted. The best part: you didn’t go deeper into debt and didn’t destroy your budget. Feel proud, not guilty! You don’t have to explain your purchases to anyone! YES! We’ve been doing this for the past 2 years and here are some of the benefits we’ve noticed. #1 Mindful spending helps you realize what you REALLY want. By the time we’ve saved enough for the items on our Want Lists, we no longer want those items. The initial excitement that drives most people to make impulse purchases has worn off and that item we wanted to badly has worn off. If you still want sometimes after a few months, then you probably REALLY want it. #2 Mindful spending increases your happiness. Research has shown that delaying a purchase actually increases our happiness and satisfaction from the purchase. We enjoy using whatever we buy so much more and appreciate the sacrifice and time it took to acquire it. #3 Mindful spending will help you focus on what really matters. We initially expected that we would miss not having everything we wanted, but quickly realized that we were living in excess. By slowing down on our buying, our brains began to see the world in a different way. We used to spend a lot of time browsing things on the internet, but now we have less interest and have spent more time doing things that add meaning and value to our lives! A new iPhone was announced earlier this week. We’ve spent a total of 0 minutes reading about the new features. 5 years ago we would’ve been able to tell you every single spec about the new phone. Now, we realize it’s not that important and won’t change our lives. If you still aren’t convinced that mindfulness can improve your life, this awesome interview with a former Mr. Universe will show you the importance of wellness. #4 Mindful spending will teach you that quality is better than quantity. We started to save up for quality items that would last longer. While it is usually more expensive initially, we found that we actually saved more money over the long term by not having to buy the same crappy things over and over again. A great example are the scarves that we have. We paid $80 for them but we’ve now had them for 5 years and they look new. Before that we would go through cheap ones quickly. A simple example, but it highlights an important point. #5 Mindful spending will make you feel thankful. We began to appreciate gifts much more. Back in the days when we would simply buy whatever we wanted, there were few reasonable things we wanted. So every year around our birthday or holidays when family members would ask if there was anything we wanted the answer was usually no, since we bought everything we wanted ourselves or only wanted expensive things we knew they couldn’t afford. This would result in getting gifts that we simply didn’t enjoy. Now, we go to our list and say, actually yes. Not only do you get something you really want, but you also appreciate the money saved so you can keep saving towards something else on your list! Your loved ones will notice your excitement immediately and they’ll feel good that they did something that brought you a ton of joy. Mindful spending has been huge for us. It has saved us tons of money and helped keep our budgets on track, but also made us aware of how much stuff we were mindlessly buying. We truly appreciate each thing we budget for and truly want the things we get. While some readers will think this may be crazy, we think that living paycheck to paycheck and going deeper into debt to buy things you don’t need is more crazy. Interesting post. I spend tons on eating out but don’t take that way. It is the one expenditure I am willing to spend tons on. Thanks for joining us, Mark! If you can make up for the food in other parts of the budget, that’s all that matters!